Why is Working at Camp the Best Summer Job Ever? Hey! My name is Rob Haworth. I am a recent graduate of Olivet Nazarene University in Illinois and I am currently a youth pastor in Omaha, Nebraska. During my years at Olivet, I spent three summers at Miracle Camp (two as a Counselor, one as Head Male Counselor). I still cherish the relationships I built there and count those as some of the most incredible, God-filled times of my life. In the next few paragraphs, I’ll try to describe just what Miracle Camp means to me. It’s an impossible task, really. Try fitting Miracle Camp’s one and only Bankson Lake into a water bottle and you’ll know the struggle; but, as many before me have done, I will try my best to do justice to this amazing place. The word that comes to mind when I think of camp is “impact.” In almost every testimonial, from staffers and campers alike, the word is everywhere. Miracle Camp’s own mission statement is completely focused on “facilitating life change.” That impact is reflected by the vast majority of summer staff that work at camp because they’ve spent their lives there. The counselors they’ve had, the friendships they’ve made, the messages they’ve heard: it all contributes to a deep desire to invest in that same kind of change in the lives of students. The memories they have and the culture in which they’ve grown up motivate them to serve. I love those stories. But that is not my story. I was 18 years old, a freshman at Olivet, and I had no clue there was a place called Miracle Camp. I met a guy on my floor, now a good friend of mine, who had worked there before. He talked about it so much, almost like it was a dream. I know what he was feeling now, but back then it kind of freaked me out! He ended up showing me the staff video and, although it looked different than anything I had ever experienced before, it also seemed like a ton of fun. With Christmas break over and the summer looming on the horizon, my search for a job intensified. I knew God was calling me to work with youth, but I didn’t know where. Finally I submitted my application and, long story short, I got the job. I was a counselor at this mystery Christian camp in Michigan. Staff training arrives and I pull up to camp. The grounds were beautiful and it was all very impressive, but the staff was what blew me away. Immediately I was accepted. I was supported, cared for, and taken into the family. As staff training went on, I began to learn more about what Miracle Camp does, the mission behind it, and the goals it seeks to achieve. Every week during my first two summers as a counselor, I was able to touch the lives of campers and learned more about what Miracle Camp is. Every single day this last summer as head male counselor that I tried to lay down my rights, comfort, and time for the staff so that they could show love painted a clearer picture of camp’s purpose. The main way camp helped me grow was that it brought 1 John 3:16 to life. I thought I understood the verse, which reads, “This is how we know what love is: Jesus Christ laid down his life for us. And we ought to lay down our lives for our brothers and sisters,” before I worked at camp. Looking back, I had no idea what it meant, but I quickly grew in my understanding, prompted by a mental, physical, and emotional exhaustion that brought me to the end of myself. Even now, as I continue striving to look more like Christ , I view that lesson as one of the most valuable that I have ever learned. Sitting here racking my brain for the words to express everything camp that is into a neat concluding paragraph, I understand that this is an impossible task. I can’t think of words or phrases to sum it up. This isn’t writer’s block, though. My mind is anything but blank. The issue is that when I think of camp, I don’t think of words; I see faces. The people serving next to me all summer; the campers having a blast in a game or experiencing God in a chapel service; the laughter, the exhaustion, the tears: they all come flooding back bringing with them memories that perfectly describe what Miracle Camp is. What make Miracle Camp special are the people. It’s a staff united by one faith, energized by one Spirit, striving towards one mission. It’s God working through His servants to bring joy, show love, and build His Kingdom. That’s what Miracle Camp is. That’s Bankson in a bottle. Check out this video from my first summer at camp to see a tiny glimpse of some of the things that I’ve experienced here at Miracle Camp and Retreat Center. Why Should You Work at Camp? My name is Maddie Short, and I am a senior at Indiana Wesleyan University. I have grown up going to camp since second grade and been apart of the camp aide program. The past three summers I have taken the role of assistant counselor and lifeguard, waterfront director, and videographer! I almost think it might be easier for me to write about what summer camp HASN’T taught me, because I have really learned that much from my experiences. Equating the experience of a summer at camp to a couple paragraphs is like trying to describe a color. You can’t formulate a sentence that fully gives an idea of what it looks like, without seeing it firsthand. Thus, camp is truly something that you have to experience in order to fully understand it. When you work at Miracle Camp you choose to work for an organization that truly lives out their mission statement every day. You work with a group of people who plan their entire summer around that mission statement, and stick to it. Working here has taught me more about living life, and helped me gain a multitude of skills. The motivation that one has to work at camp may be different from another. Personally, my inspiration came from the fact that I have gone to camp my entire life. To this day, there are certain counselors and assistant counselors that I still look up to. It might have only been one thing they said or did during my week at camp, but somehow it stuck with me until now. I remember each of my counselors and the summers that they gave me. I remember the way they loved the Lord and how they encouraged me to pursue my own relationship with the Lord. After having worked at camp for three summers, campers’ have reached out and contacted me directly outside of camp. They share small, simple stories or words of encouragement regarding what they learned at camp, and how it impacted them years later. It is these small reminders from campers that make the time invested all worth it. So that’s the inspiration behind it, now what did I learn from all my experiences and how did I grow? Well, first and foremost, I gained an understanding of selflessness. I didn’t fully understand this concept until I started working at camp. Camp taught me what it means to lay down the “rights” I think I deserve, and instead put the consideration of others first. Honestly, when I work at camp, I don’t really have a choice to be selfish. It’s almost is a natural way to teach myself how to serve others in the way God calls me to, with a humble heart and with the desire to serve those around me. The list of practical and intangible skills could go on and on. 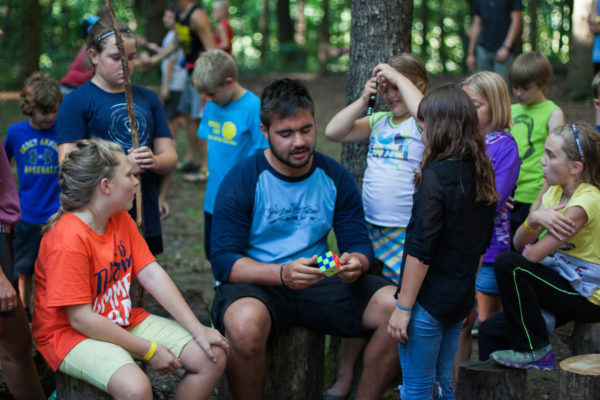 I have developed better communication and relational skills with campers, parents, staff members, and superiors. Without effective communication, camp could not run. So, clear and concise communication is practiced throughout the entirety of the summer. One of the greatest takeaways I’ve gained is the ability to creatively think. Creative thinking happens in all different forms: group collaboration, self-initiative, when in a time constraint, or during planning sessions throughout the start of the summer. Nonetheless, creative programming is one of camp’s values, so it has been instilled in my blood since I have started working there. There have been many times where we had something planned, and due to weather or another circumstance, we had about 15 minutes to come up with a new plan for 200 campers. Surprisingly, situations like this were more frequent than the staff hoped, but looking back, these were some of my favorite times. Honestly, some of the best games were developed through situations when we were under pressure! There are so many opportunities at camp that allow for creativity within group collaboration. 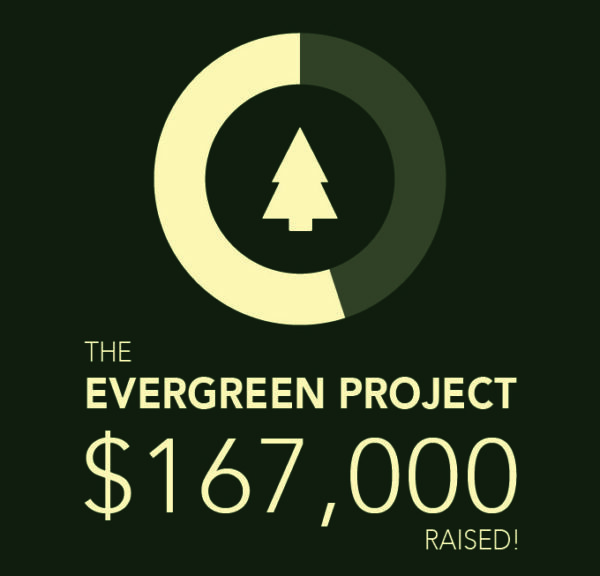 One of the greatest blessings from working at camp results in the immense growth that takes place within. The entire summer is centered around Christ, so it gives the unique opportunity of practicing putting Christ at the center of all we do. I learned how to rely not on my own strength, but to rely on him through times when I was tired from a crazy week. There are so many opportunities to grow spiritually. I found myself growing the most through the set aside time for personal devotions, as well as the opportunity to listen to many different speakers presenting the gospel to the kids each week! There was always someone on staff who was willing to talk or listen, and grow alongside of me. Because the foundation of these friendships rests on the truth of Christ, I have formed some my best friendships through camp. Aside from the intangible skills, I have also learned practical “camp” skills. You name it: ziplining, paintballing, outdoor games, campfire building, beach preparation, boat care, driving tubers, dodgeball, and essentially, turning anything into a game. In my role as the videographer, I stepped into it with zero knowledge. Up until the month before coming to camp, I had essentially never picked up a camera. Nonetheless, I knew my staff would support me in this role and it was a skillset I was excited to learn. 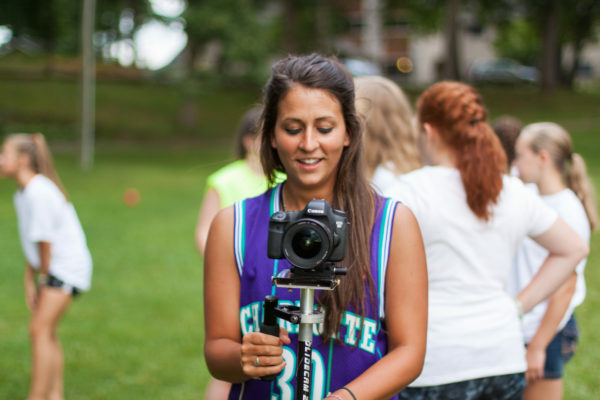 It took a lot of research, time, and dedication, but because of camp, I learned video skills that I can use outside of camp, and are now contributing to my future today. To wrap all of this up: I work at camp because I love the campers. I love that my creativity, confidence, and faith has been developed. And I love the relationships with staff members that I have developed. I work at camp because the Lord has given me the ability and opportunity to bless others by working for him through this ministry. A summer at camp isn’t just a period of time in your life, rather it becomes a part of who you are and helps shape who you become. Words limit the fullness of my own personal camp experience, so I encourage you to experience it yourself and see what I have tried to describe. My greatest advice to anyone interested in working on summer staff? Apply now. 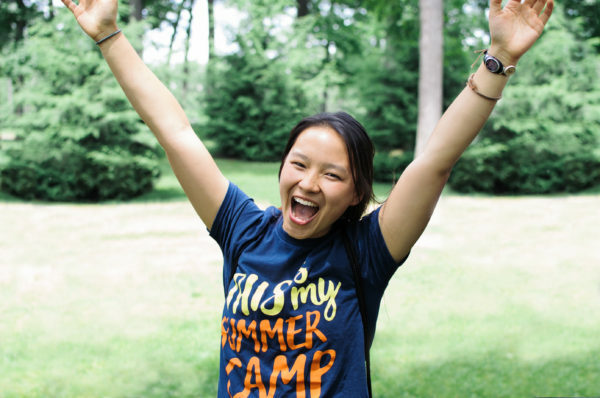 Click here to apply for this year’s summer staff! Check out one of Maddie’s videos from this summer!